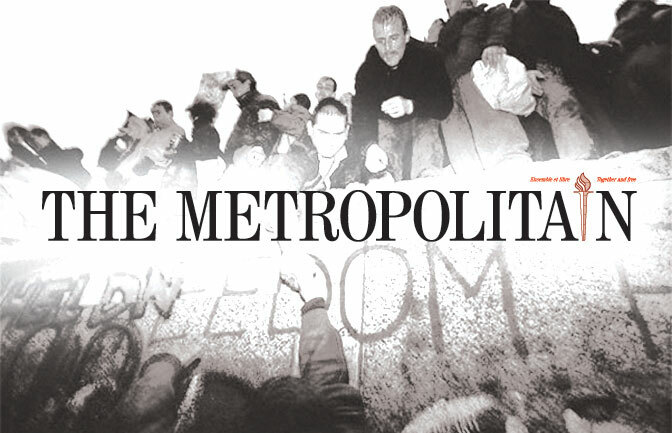 Launched on May 1, 2008, The Métropolitain is the first bilingual newspaper in Quebec since 1842. Independently owned and operated, The Met is a journal of opinion, reflection and the arts. Its editor and publisher is Beryl Wajsman, president of the Institute for Public Affairs of Montreal and editor-in-chief of The Suburban, Quebec’s largest English weekly newspaper. Members of the editorial board include renowned Quebec authors Daniel Laprès and Pierre Malouf, veteran journalist Alan Hustak, The Suburban’s P.A. Sévigny, radio talk-show host Dan Delmar, Jessica Murphy of The Canadian Press, award-winning photographer Robert Galbraith and cartoonist Roy Piperberg. Regular contributors include Barbara Kay, Djemila Benhabib, Duff Conacher, the Hon. Irwin Cotler, Sébastien Dhavernas, Me. Julius Grey, the Hon. David Kilgour, John Parisella, Michael Ross and Sharman Yarnell. All materials accepted for publication may be subject to editing. The Métropolitain aims to meet the need for original and unconventional thought and opinion on local, national and international affairs. The opinions and views expressed by the contributors to The Métropolitain are strictly their own and do not necessarily represent those of the ownership, its advisors, members or editors. The Métropolitain does not accept responsibility for the views expressed in any letter, article or comment that appears in these pages. It does accept responsibility for giving these submissions the chance to appear. No reproduction is permitted without prior written permission from the Publisher or Deputy Publisher. Any and all reproductions must clearly credit the specific issue, article and author as they originally appeared in The Métropolitain.